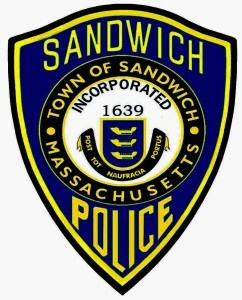 The Mission of the Sandwich Police Department is to enforce the law and promote a feeling of safety and security for all members of the community. The Sandwich Police Department will work in cooperation with the community to preserve and improve the quality of life, making the Town a safer, more pleasant place to live, work and visit. RESPECT for all persons both in and outside of the organization. We will inspire respect and confidence in the public trust by performing all duties impartially and respecting the dignity of all citizens and fellow employees. STRIVE FOR EXCELLENCE in all our activities. 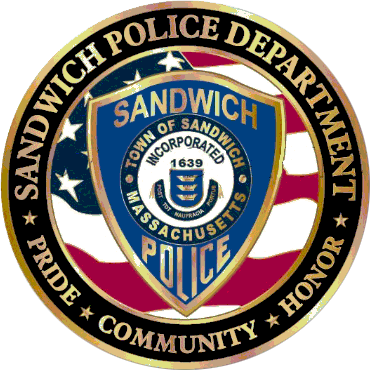 We value professionalism and a team effort to provide effective public safety services. We will strive for courage and conviction to see the mission through. Provide a high level of SERVICE to the community at all times. We will work cooperatively with other town, state and federal agencies to provide the highest level of service to our residents, businesses and visitors. We will seek the highest levels of ETHICAL and MORAL conduct in our on-duty and off-duty activities.